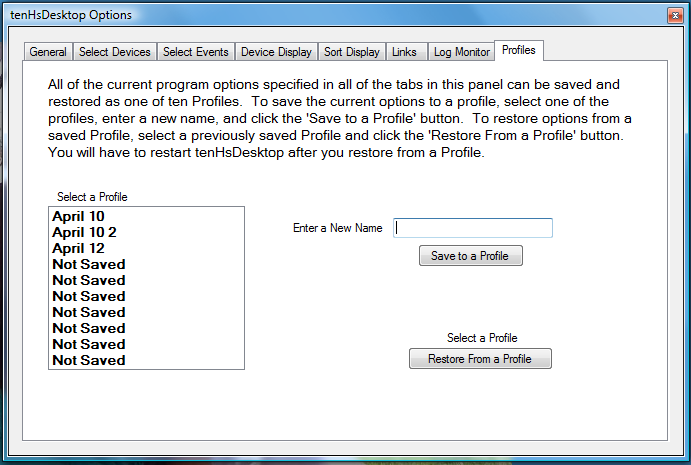 If the Profile you restore from contains different Connection Parameters, you will need to restart tenHsDesktop. Note that as you change tenHsDesktop options these changes are NOT stored to any Profile until you explicitly save them. Current option specifications ARE retained between tenHsDesktop executions.